Chosen Payments was happy to once again sponsor LCT East. Limousine Charter & Tour Magazine hosts an annual convention on the east coast geared specially for east coast limousine operators and the issues they face. Held at Harrah’s Hotel and Convention Center in Atlantic City, the show was attended by nearly 1100 limousine operators including operators who traveled from other countries to attend. Our Chosen Payments team included our CEO, Jeff Brodsly along with Sarah McKee, Derek Maxwell, Katie Martinez, Alex Scalesse and Jim Luff. 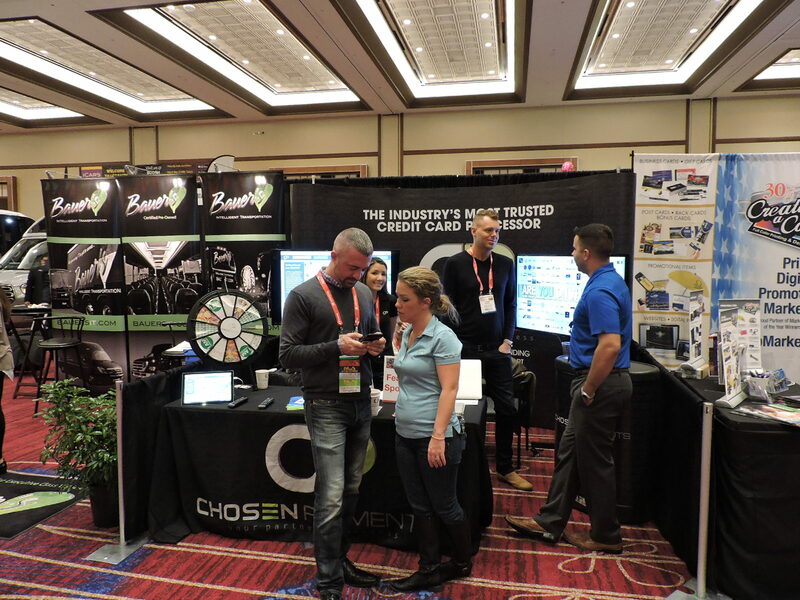 In addition to having a booth, we sponsored the Closing Super Session and co-hosted a party with iCars and Ecko Worldwide Transportation. It is important for us to support the industries we serve through sponsorship, education and friendship. We were happy to be able to meet with so many of our clients and friends during the show.